Sized Newborn - 32 lbs. 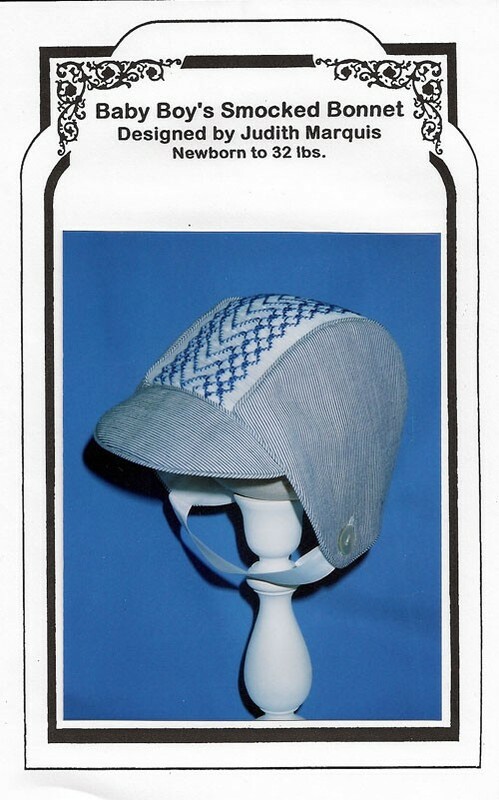 Smocked baby bonnet just for boys! Pattern includes 2 smocking designs and suggestions for conversion to an heirloom sewn look. This is a CUTE bonnet/cap. I've seen it in person & was very impressed!